So hey, here's a couple of uninteresting smudges. The one on the left is Kuiper Belt Object 2012 HZ84 and the right one is 2012 HE85. Boring on their own, but worth noting- they were taken by New Horizons at like 3.79 billion miles from Earth, making them the most distant photographs ever taken. 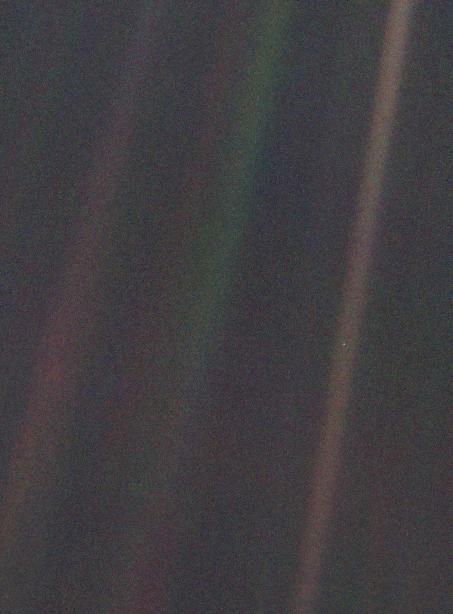 Very cool, but not as emotionally-devastating as Voyager 1's Pale Blue Dot. Edited by K Gatzby, 14 February 2018 - 04:00 PM. Perhaps, but this was taken from far further away. Yeah, just different things. It's intriguing for very different reasons having a camera out in the Kuiper Belt taking pictures of the locals. NASA's Mars Reconnaissance Orbiter (MRO), at Mars since 2006, put itself into a precautionary standby mode on Feb. 15 in response to sensing an unexpectedly low battery voltage. "We're in the diagnostic stage, to better understand the behavior of the batteries and ways to give ourselves more options for managing them in the future," said MRO Project Manager Dan Johnston of NASA's Jet Propulsion Laboratory, Pasadena, California. "We will restore MRO's service as a relay for other missions as soon as we can do so with confidence in spacecraft safety -- likely in about one week. After that, we will resume science observations." NASA's Mars Reconnaissance Orbiter entered orbit around the Red Planet on March 10, 2006. Since then, it has returned more data than all other past and current interplanetary missions combined, with a tally of more than 317 terabits so far. The mission met all its science goals in a two-year primary science phase. Five extensions, the latest beginning in 2016, have added to the science returns. The longevity of the mission has given researchers tools to study seasonal and longer-term changes on Mars. Among other current activities, the orbiter is examining possible landing sites for future missions to Mars and relaying communications to Earth from NASA's two active Mars rovers. so, turns out Uranus stinks. Researchers confirmed Monday the seventh planet from the sun has an upper atmosphere full of one of the smelliest chemicals known to humans, hydrogen sulfide, according to study published by Nature Astronomy. The odorous gas is what gives rotten eggs – and human flatulence – their distinctive and unpleasant smell. According to the Environmental Protection Agency, people can smell the gas when it makes up as little as three out of every billion molecules in the air, so imagine what being surrounded by clouds of the stuff would smell like. A gas planet made up of mostly methane stinks? I never realized how many objects were in the Kuiper Belt. 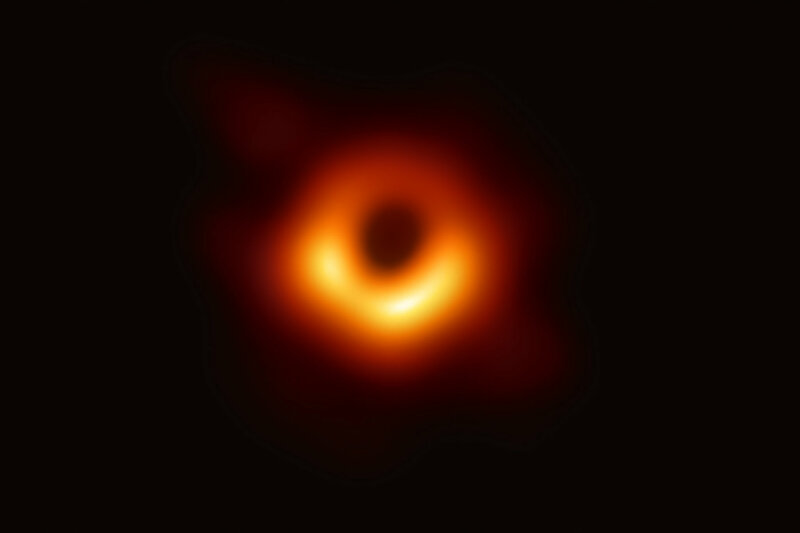 I take it everyone here has been abuzz with seeing the photo of the black hole at the core of Messier 87. We were all slowed down by the time dilation. That's so damn freaky, once you understand what you're looking at. It's brighter at one side because that's the side advancing toward you, the hot gases are orbiting at such a massive fraction of c that it's doppler fading the light. And we're basically seeing it twisted inside out. In other news, our nearest celestial neighbor may have a second terrestrial planet orbiting it. Exciting time to be alive, astronomically speaking at least.